NOTICE: There is only one "National Pain Centers®" and one "Jay Joshi, MD™" that are internationally recognized in the field of pain management. We are the original "National Pain Centers®" and "Jay Joshi, MD™". We are often imitated, but never duplicated. All imitators are counterfeit. WE DO NOT SELL PRODUCTS OR SOLICIT BUSINESS. If you have received phone calls from anyone stating they are National Pain Centers® or Jay Joshi, MD™, ignore those calls and let us know about those counterfeiters. 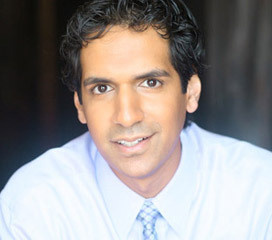 Dr. Jay Joshi is a nationally recognized board certified Anesthesiologist and fellowship trained Interventional Spine and Pain Management physician who has distinguished himself via his solid reputation, education, experience, and leadership roles in national activities, including Advisory Boards, Educational and CME Programs, Publications, Speaking Events, and Consulting. He is considered a National “Key Opinion Leader” in pain management and he has presented to a variety of audiences, both large and small, over 600 times. Internationally, he has worked at the World Health Organization in Geneva, Switzerland and has been featured on TV, Radio, Print, and the Internet. NOT ALL PAIN MANAGEMENT PHYSICIANS ARE THE SAME. MAKE SURE YOU HAVE DONE YOUR HOMEWORK CORRECTLY. A bad experience with a physician can be very stressful, and stress is the last thing you need when you are in pain. That is why we firmly believe that patient's must do their homework before seeing any physician. "IT'S YOUR BODY, Who do you trust?" We are firm believers that the key to a successful outcome is strong intelligence/education, solid skills, and unwavering integrity/ethics.